Inflatable Wild Rapids Dual lane Curved Slide, this inflatable curved water slide have dual lane for riders and full of thrilling and exciting for players. The side speed and water splash pool will make children and adults crazy and cool down the whole summer hot day! Inflatable Wild Rapids Water Slide. Experience the thrill of riding the rapids down this wet mountain of fun with our water slides. Riders shoot down individual sliding lanes where they encounter the thrill of a bump in the rapids before they scream around the curve and make a soft splash landing. These beautiful Water Slides will blow you away! Reserve these water Slides for Rentals. 22 Foot Inflatable Rainbow Water Slide, rainbow color water slide is eye focus for every player and for a couple of hours they could have a great fun climbing and sliding down to the water. Summer is not hot if you have such a cool water game to play. 18ft Tropical Water Slide With Water Pool, With a water pool set on the bottom, when player slide down in a high speed, they will cool down by the chill water, A summer is not hot at all while playing with it. Attractive tropical theme. Commercial use quality level in factory price. 22 Foot Inflatable Corkscrew Water Slide With Pool, creative corkscres shape water slide with water pool, perfect for water park park games in summer. Deep blue make player think of the ocean and ultimate fun for chilsren and adults. High Quality, Timely Delivery! 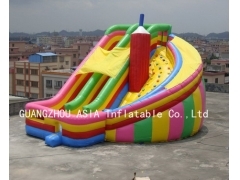 Inflatable Kids Slide, Kids Inflatable Slide, 15 Foot Kids Inflatable Slide can be used indoor or outdoor for Business Rentals. It is Easy set up and deflate. OEM/ODM is welcome. High Quality, Wholesale Price, Timely Delivery! 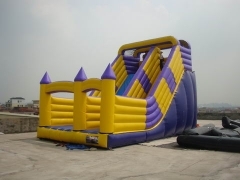 Inflatable Princess Slide, Disney Funland, Custom Inflatable Slide, 25 Foot Disney Funland Inflatable Princess Slide can be used indoor or outdoor for Business Rentals. It is Easy set up and deflate. OEM/ODM is welcome. High Quality, Wholesale Price, Timely Delivery! Disney Funland, Custom Inflatable Slide, 20 Foot Disney Funland Inflatable Slide can be used indoor or outdoor for Business Rentals. It is Easy set up and deflate. OEM/ODM is welcome. High Quality, Wholesale Price, Timely Delivery! Micky Mouse Funland, Custom Inflatable Slide, 28 Foot Micky Mouse Funland Inflatable Slide can be used indoor or outdoor for Business Rentals. It is Easy set up and deflate. OEM/ODM is welcome. High Quality, Wholesale Price, Timely Delivery! Safari Park Inflatable Slide, Customized Inflatable Slide, 18 Foot Safari Park Inflatable Slide can be used indoor or outdoor for Business Rentals. It is Easy set up and deflate. OEM/ODM is welcome. High Quality, Wholesale Price, Timely Delivery! Inflatable Module Slide, Customized Inflatable Slide, 18 Foot Inflatable Module Slide can be used indoor or outdoor for Business Rentals. It is Easy set up and deflate. OEM/ODM is welcome. High Quality, Wholesale Price, Timely Delivery! Inflatable Climbing Wall Slide, Giant Inflatable Slide, 22 Foot Inflatable Climbing Wall Slide can be used indoor or outdoor for Business Rentals. It is Easy set up and deflate. OEM/ODM is welcome. High Quality, Wholesale Price, Timely Delivery! Inflatable Amazon Slide, Giant Inflatable Slide, 26 Foot Inflatable Amazon Slide can be used indoor or outdoor for Business Rentals. It is Easy set up and deflate. OEM/ODM is welcome. High Quality, Wholesale Price, Timely Delivery! Drakon Land Inflatable Slide, Giant Inflatable Slide, 21 Foot Drakon Land Inflatable Slide can be used indoor or outdoor for Business Rentals. It is Easy set up and deflate. OEM/ODM is welcome. High Quality, Wholesale Price, Timely Delivery! Inflatable Everest Slide, Giant Inflatable Slide, 30 Foot Giant Inflatable Everest Slide can be used indoor or outdoor for Business Rentals. It is Easy set up and deflate. OEM/ODM is welcome. High Quality, Wholesale Price, Timely Delivery! Inflatable Everest Slide, Giant Inflatable Slide, 40 Foot Giant Inflatable Everest Slide can be used indoor or outdoor for Business Rentals. It is Easy set up and deflate. OEM/ODM is welcome. High Quality, Wholesale Price, Timely Delivery! 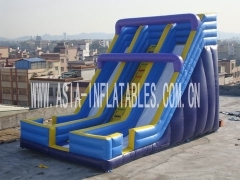 Inflatable Racing Slide, Custom Inflatable Slide, 30 Foot Giant Inflatable Racing Slide can be used indoor or outdoor for Business Rentals. It is Easy set up and deflate. OEM/ODM is welcome. High Quality, Wholesale Price, Timely Delivery! 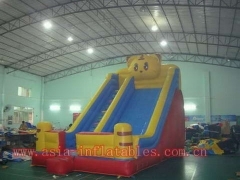 Inflatable Bear Slide, Custom Inflatable Slide, 18 Foot Inflatable Bear Slide can be used indoor or outdoor for Business Rentals. It is Easy set up and deflate. OEM/ODM is welcome. High Quality, Wholesale Price, Timely Delivery! Inflatable Module Slide, Custom Inflatable Slide, 20 Foot Inflatable Module Slide can be used indoor or outdoor for Business Rentals. It is Easy set up and deflate. OEM/ODM is welcome. High Quality, Wholesale Price, Timely Delivery! Inflatable Module Slide, Custom Inflatable Slide, 22 Foot Inflatable Module Slide can be used indoor or outdoor for Business Rentals. It is Easy set up and deflate. OEM/ODM is welcome. High Quality, Wholesale Price, Timely Delivery! 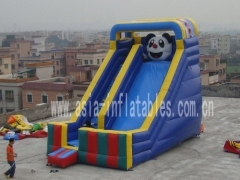 Inflatable Panda Slide, Custom Inflatable Slide, 18 Foot Inflatable Panda Slide can be used indoor or outdoor for Business Rentals. It is Easy set up and deflate. OEM/ODM is welcome. High Quality, Wholesale Price, Timely Delivery! Foro Romano Inflatable Slide, Customized Inflatable Slide, 20 Foot Foro Romano Inflatable Slide can be used indoor or outdoor for Business Rentals. It is Easy set up and deflate. OEM/ODM is welcome. High Quality, Wholesale Price, Timely Delivery! Inflatable Mermaid Slide, Customized Inflatable Slide, 17 Foot Inflatable Mermaid Slide can be used indoor or outdoor for Business Rentals. It is Easy set up and deflate. OEM/ODM is welcome. High Quality, Wholesale Price, Timely Delivery! Inflatable Rabbit Slide, 20 Foot Rabbit Slide, 20 Foot Inflatable Rabbit Slide be used indoor or outdoor for Business Rentals. OEM is welcome. High Quality, Wholesale Price, 3 year Warranty, Timely Delivery! Inflatable Clown Slide, Clown Inflatable Slide, Small Inflatable Clown Slide be used indoor or outdoor for Business Rentals. OEM is welcome. High Quality, Wholesale Price, 3 year Warranty, Timely Delivery! Inflatable Clown Slide, Clown Inflatable Slide, Circus Krone Inflatable Clown Slide be used indoor or outdoor for Business Rentals. OEM is welcome. High Quality, Wholesale Price, 3 year Warranty, Timely Delivery! Inflatable Vortical Slide, Vortical Inflatable Slide, Giant Vortical Inflatable Slide can be used indoor or outdoor for Business Rentals. OEM is welcome. High Quality, Wholesale Price, 3 year Warranty, Timely Delivery! Giant Inflatable Titanic Challenge, Inflatable Titanic Slide, Inflatable Titanic Obstacle can be used indoor or outdoor for Business Rentals. OEM is welcome. High Quality, Wholesale Price, 3 year Warranty, Timely Delivery!